I grew up in a community that was averse to trends. Whenever there was a new toy, like the tamagotchi, pogs, or pokemon, I knew better than to ask for one or play with them at friends’ houses (I did manage to scrape up enough money to buy an off-brand tamagotchi and a few pogs, however). We were forbidden to read books like Harry Potter, and we were never over at our friends’ houses alone, so there was not even a way to sneakily read these books or play with these toys. Now that I’m an adult, of course, I’m experiencing a lot of things that people my age experienced in the 90’s. 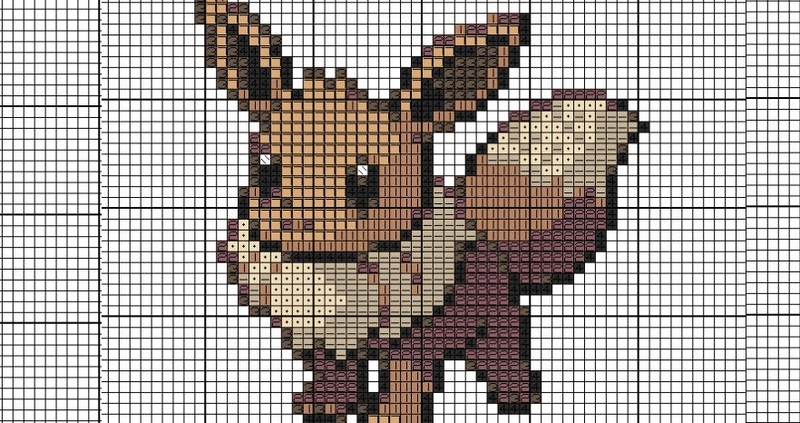 With the advent of Pokemon Go, I can finally discover this world, and part of the joy of experiencing this for the first time is that there is so much more available to me to show my love of Pokemon — plushies from Build-A-Bear, amigurumi patterns, and, I recently discovered, Pokemon cross stitch patterns. 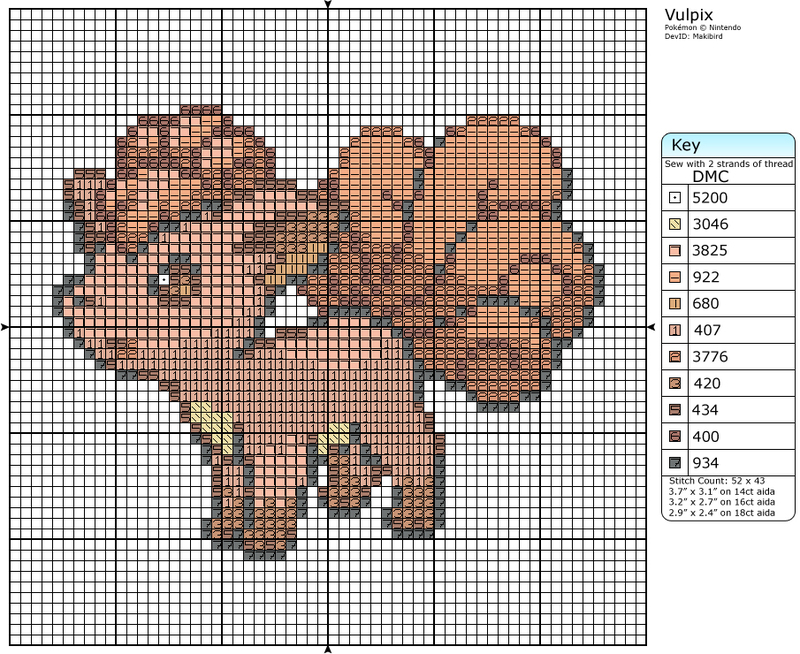 While there is an option to scan in pictures and turn them into crochet patterns, I’ve had the best luck with the patterns I’ve found on DeviantArt — particularly from MakiBird-Stitching, who has several popular Pokemon cross stitch patterns available for free. You can print them out in color or black-and-white and follow along with the key provided to make sure you’re using the right colors. 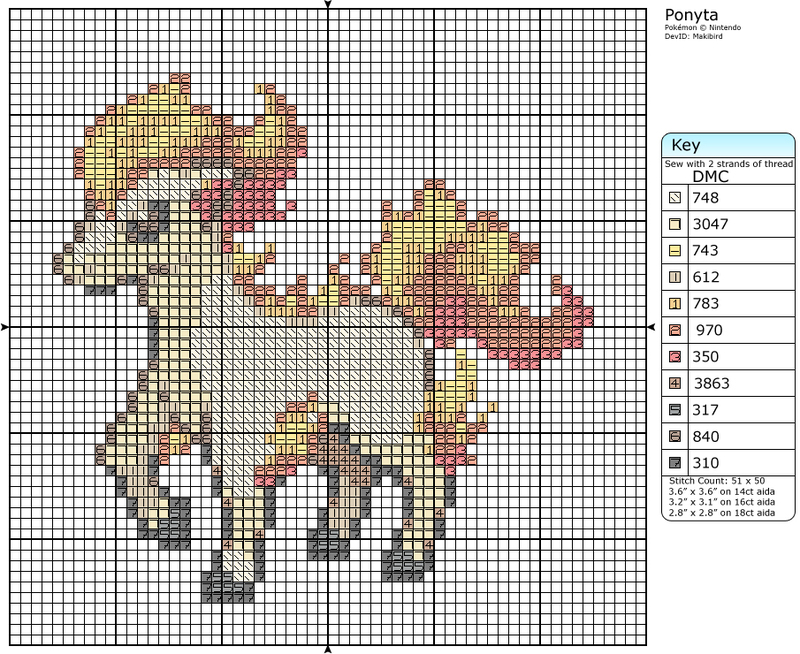 The design is large enough to stand on its own (you could put the finished product in a frame or hoop to hang on the wall), but small enough that it isn’t intimidating to think about having to cross stitch. This sort of project is perfect for someone on the go. It’s easy to stash in a bag and take with you on a road trip (especially during the holidays), or to work for something to do on your lunch break, or while you’re running errands. 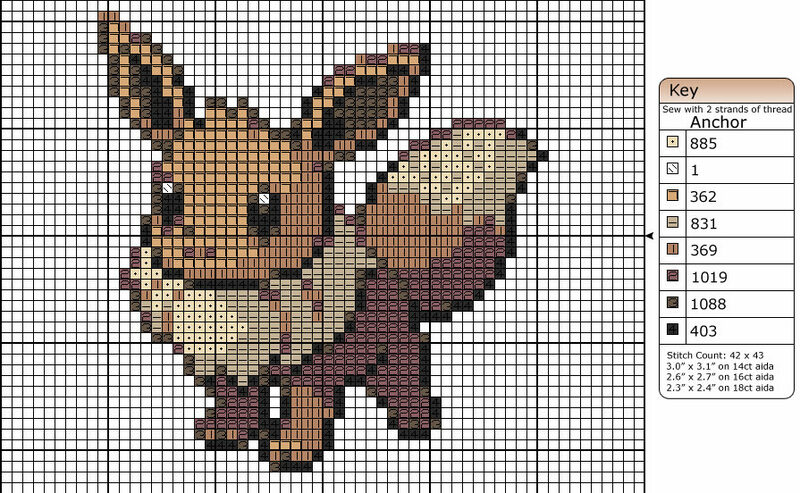 And if you have a cozy afternoon or long weekend at home, then you can enjoy turning these patterns into your own pokemon collection from the comfort of your armchair. When cross stitching, the stitching itself is simple but it’s always important to have a planning stage prior to getting your needle and thread out. Make sure you have all the right colors and the materials (cross stitch fabric, a hoop, scissors, embroidery thread, the pattern), and that you follow along with the pattern exactly. You can highlight the stitches you’ve already done, if you like, or you can check them off. After you’re done, you can choose whether you want to incorporate the piece into a larger project (as a badge, on a purse, as part of a book cover, etc.) or if you want to retain the piece as is and display it somewhere. Something like this would also make a great gift for fellow Pokemon fans of all ages, so you might want to make a few of these for special occasions like birthdays and Christmas. 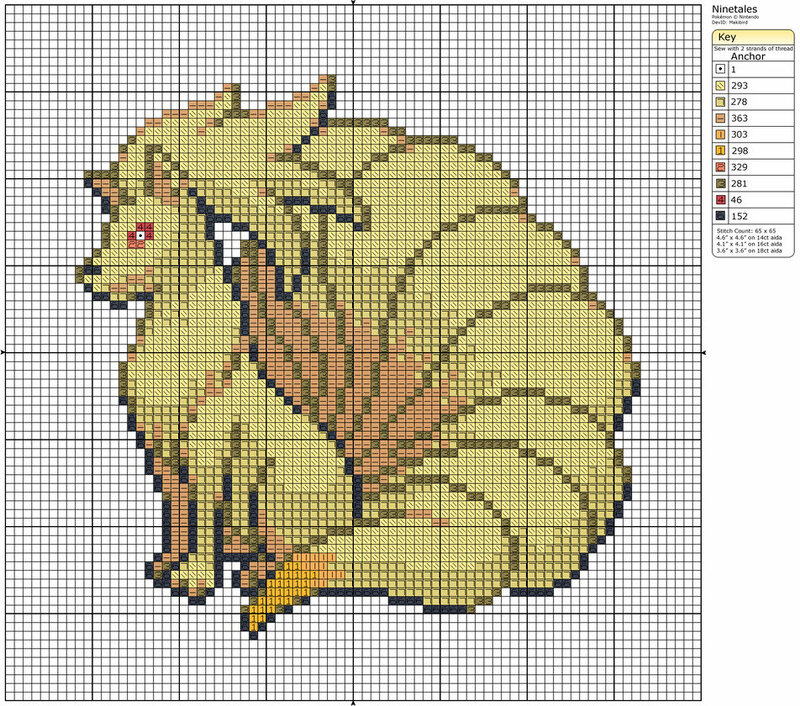 If you’d like to peruse the Pokemon patterns available on DeviantArt, you can do so by visiting MakiBird Stitching’s page. Happy hunting!